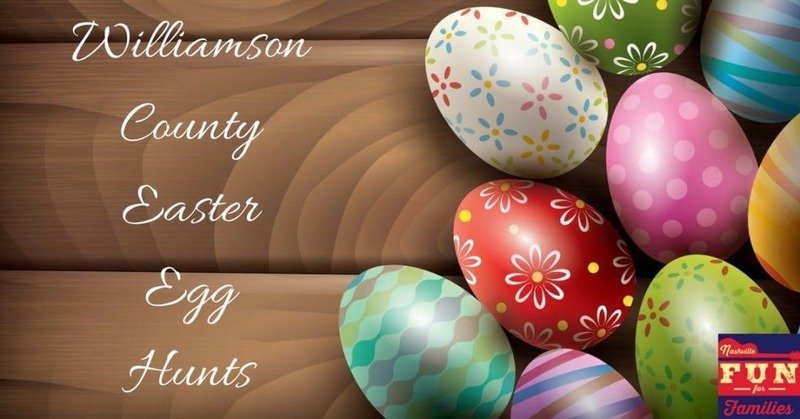 2019 Williamson County, Tennessee Easter Egg Hunts Near You! Hunt some eggs and meet the Easter Bunny at a Williamson County Easter Egg Hunt! FREE traditional Easter egg hunt! Open to the Public (ages 10 and under), no registration required! It’s an underwater Easter Egg Hunt! Jump, splash, and swim for eggs! Join us for a little Easter fun at Timberland Park. Kids, ages 3-6 will enjoy hunting for Easter eggs and visiting with the Easter Bunny! Parents, don’t forget to bring your cameras! This is a free event but space is limited and registration is required.